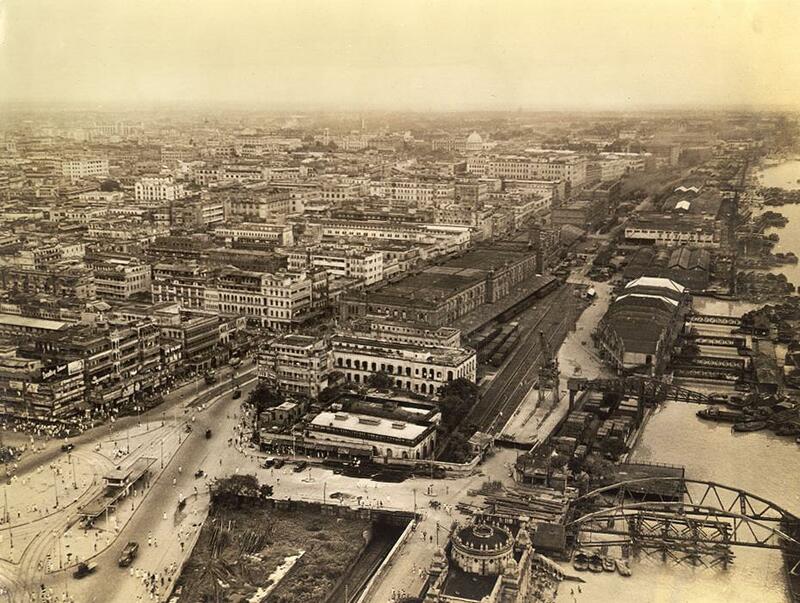 This collection consisting of 60 photographs of Calcutta (Kolkata)taken most likely between 1945-1946. The photographer, Mr. Clyde Waddell, also provided the interesting notes accompanying each photograph. Several attested copies of this work has emerged including one with a 'title page' held by the Southeastern Louisiana University in Hammond, Louisiana. Mr. Waddell was a military photographer. Many of his captions seems like annotations that would be found in a typical military magazine. The album begins with several general long shots of Calcutta and ends with a picture of dhobi-s (washermen) washing clothes. The text accompanying the last photograph also sounds as if the author intended to finish with that picture of one of the "great mysteries of India." 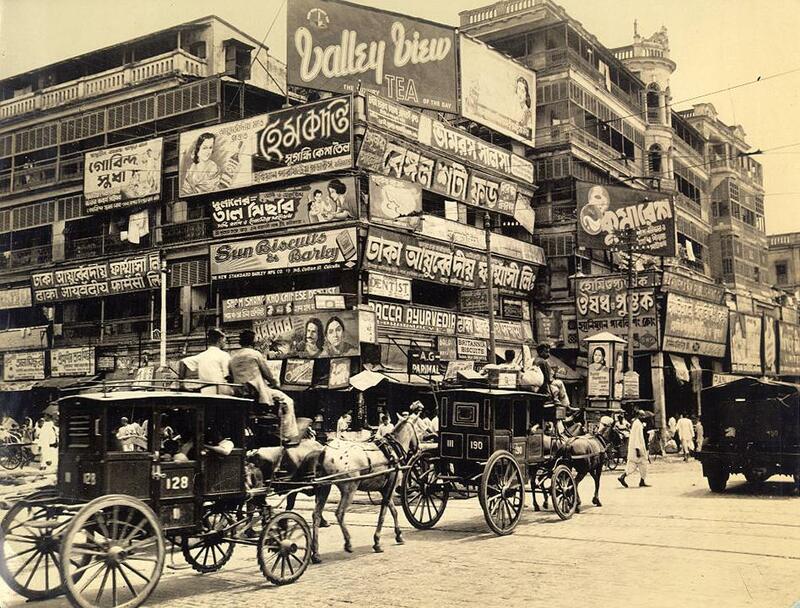 A bewildering mass of billboards at the corner of Harrison Street (Burra Bazar) and Strand Road. One of the oldest sections of Calcutta, at the foot of Howrah Bridge, it is a fine vantage point for photographing the passing parade of oddly dressed natives and curious vehicles. 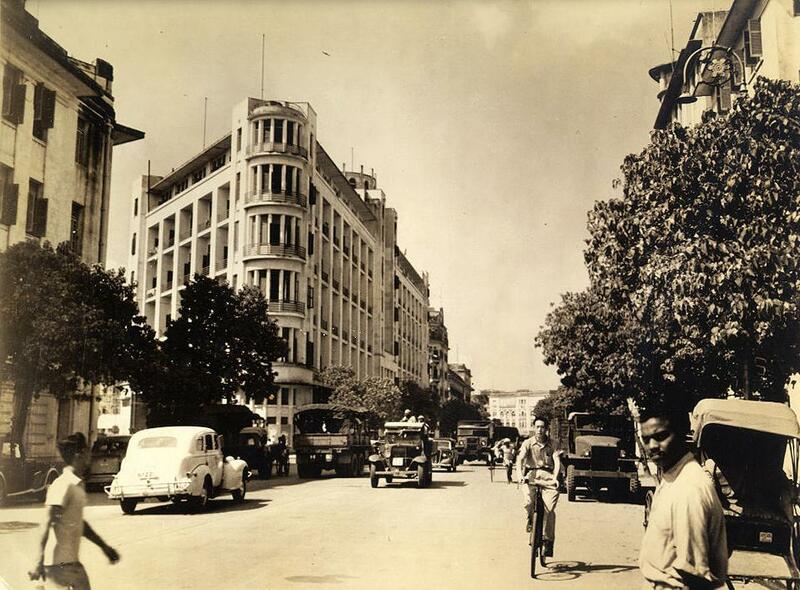 Hindusthan building, one of the most modern in Calcutta, was built for an insurance company but occupied upon its completion by the U.S. Army. Locate in the heart of the city, it is the nerve center of all military business, containing post office, finance office, Base Section offices, air, rail booking offices, a radio station, giant post exchange, officers mess and living quarters, signal offices and others. Aerial view of Calcutta downtown. In upper left background is Hindusthan building, U.S. Army HQ. The oldest part of the city starts at the esplanade and extends upwards. The city was founded in the early 1700's. 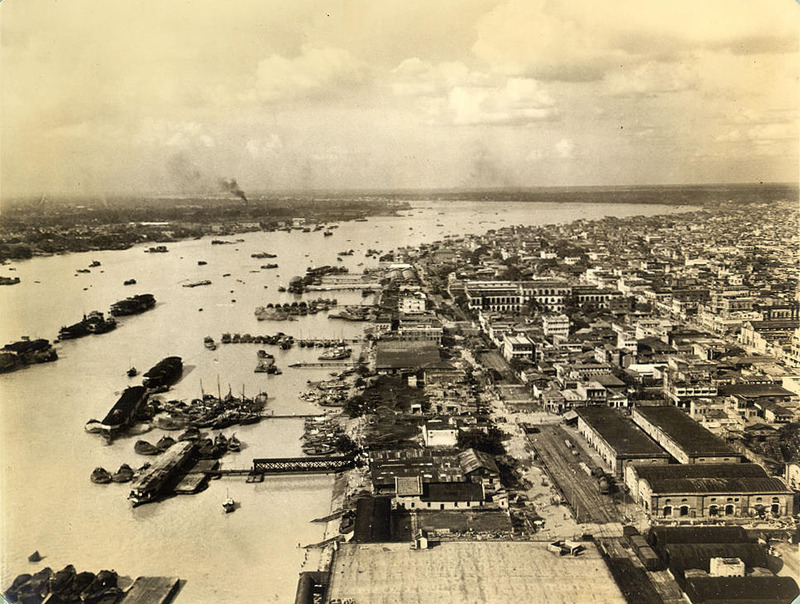 Hooghly river and part of Calcutta's east bank. but for this giant stream Calcutta would likely never have been built---and for that matter, many of us would just as soon it hadn't. Nevertheless the river affords many spectacles and has accommodated millions of tons of supplies necessary to the war effort. 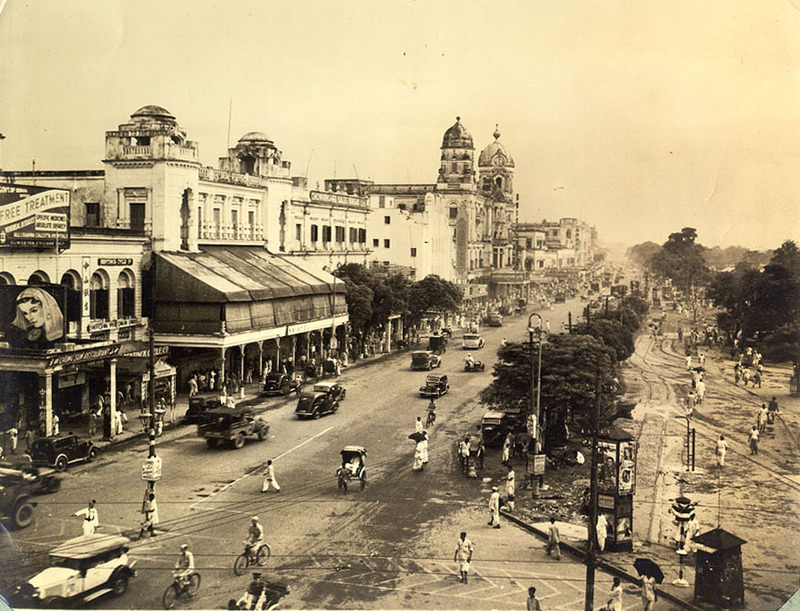 Chowringhee Street, Calcutta's main throughfare, an amazing parade of fascinating sights and sounds.Every soldier who has trod its length retains memories of one of the most colorful and interesting streets in the world.